The audio file of the evening can now be heard here, along with a transcription of the first half of the presentation. Moderated by Judith Prowda, the panel was comprised of Edward Winkleman, Elizabeth Dee, Richard Lehun, and me. We reviewed the financial, practical, ethical, and legal effects that the expansion of art fairs has had on the trade. Reactions and reviews came in quickly as we noted previously. Co-panelist Ed Winkleman posted his take on the evening at his blog, which you can read here. He gave a terrific data-packed overview of art fairs, and his reflections follow up on some of the questions that were asked after the prepared remarks. I’ve since found this write up by John Haber as well. Eileen Kinsella wrote a cogent summary of the evening at ArtNet. As she begins her article, “The art world can’t live with art fairs. The art world can’t live without art fairs. That was the resounding takeaway. . . .” The piece summarizes nicely the high points of the talk. Kristina Nazarevskaia also penned an article about the event at galleryIntell entitled “The rise of the art fair: who wins and who loses.” She focused on the disruptive aspects financially and developmentally, and the ethical and legal issues that those things raise. Art Fairs and the LawThe interaction between a client and a dealer, whether at a brick and mortar gallery, or an art fair, is the commencement of a legal relationship. It might be a successful relationship, it might be strained, but that’s what it is. So what I want to talk about tonight are some of the ways that the formation of that relationship, and its rights and duties, might be affected by the fact that it is happening at an art fair. My focus is going to be on US and NY law given my practice, but hopefully we can issue spot on things that can arise around the world. It seems obvious, but the starting point is to remember where you are. In the absence of an agreement, in most instances for the sale of art the place of the transaction will supply the law that governs that transaction. So New York law will govern Frieze, Dutch law will govern TEFAF, and Hong Long law will govern Art Basel Hong Kong. The nature of an art fair also creates practical differences in the formation of that relationship. Consider: every art sale involves some sort of diligence, whether cursory on the spot or in depth, a negotiation of the essential terms of the transaction, and an actual exchange. A contract, after all, is an exchange of promises: I will do this if you do that. But every contract has explicit terms and implied terms, and the practical aspects of an art fair, and the law of the place where it is, will all go into what constitutes the resulting agreement. Diligence and preparation. What does the buyer have time to investigate, and what are the consequences of proceeding with the transaction?This is as much a matter of risk management as it is a legal question. But whether you are a dealer at a show or a buyer, your starting point has to be the rules of the show. Is there anything in the materials in which a buyer agrees to a set of terms incorporated by reference? That is, when you attend or pay for something, do you end up signing a form that says something like “buyers agree to abide by the rules of the X show”? If so, those rules will be a part of your deal. If you are a dealer, the same will hold true most likely at the application stage. Even without a single buyer, the dealer is probably setting foot more firmly in the location of the fair. Art Basel, for example has a choice of law provision in its application form in favor of the location of the particular show (Canton Basel, Florida, Hong Kong). What is it? What representations and warranties are inherent to a sale, and how does the dynamic of an art fair complicate how you can rely on what you have been told? If you’re in a Uniform Commercial Code (UCC) jurisdiction, like New York, the mere exchange of information will give rise to enforceable obligations related to that exchange if there is ultimately an agreement. (a) Any affirmation of fact or promise made by the seller to the buyer which relates to the goodsand becomes part of the basis of the bargain creates an express warranty that the goods shall conform to the affirmation or promise. (2) It is not necessary to the creation of an express warranty that the seller use formal words such as “warrant” or “guarantee” or that he have a specific intention to make a warranty, but an affirmation merely of the value of the goodsor a statement purporting to be merely the seller’s opinion or commendation of the goods does not create a warranty. We can well imagine how this will play at an art fair rather than a gallery. Hundreds of people are passing a booth each hour. Routinized conversations ensue. The sellers give a standard litany of descriptions-they think, if they can remember. Buyers have spoken to dozens of people that day. Was it this dealer, or another, that talked about the condition of the paining or the location of origin. Which conversation becomes “part of the bargain”? So where advance homework is wise in a storefront, some system for noting what you heard from whom—or what you told whom—may matter if and when a deal is struck. To illustrate the point, imagine a buyer who attends a fair of rare cars on Long Island. He talks to several sellers at the fair, but he is taken with one conversation in particular. This Chrysler LeBaron, he is told, belonged to a certain specific individual. Because of that, he buys the car in a handshake deal. The handshake representation about who owned it? “John Voigt.” You may well laugh at the idea of being as senseless as George Costanza, but the larger point is that once you shake hands, exchange promises, make a deposit, or otherwise commit yourself, what happened in that one conversation among many could turn out to matter a great deal. Consider a less ridiculous scenario. In a conversation at a booth, the buyer observes a signature at the lower portion of an etching that looks to her, a sophisticated buyer, to be Picasso’s. She asks the dealer, what is that? “That’s signed Picasso” he says. Or did he say “that’s signed BY Picasso?” or did he say “that SAYS Picasso”? Do either remember accurately. The buyer purchases it. In a way that is so much less likely with an auction catalogue, there is now an issue with WHAT 2-313 warranty was made. This scenario happened to a client of mine in a more old fashioned context, and the particulars were more easily sorted out, but the dynamic of the show makes it one to look out for. Here too geography will matter of course, and whether a civil law or other jurisdiction implies warranties into a contract like this. Many don’t. Before we leave this topic, remember that an expression of VALUE is considered an opinion, and not a statement of fact within 2-313 or other law. But a claim of comparable sales is an expression of fact. Did you make an agreement?Let’s take a step back and talk a little about the basics of contract formation in this context. With apologies to the lawyers in the room who have done their best to forget about first year of law school, it is worth repeating that an agreement does not consist of what you think it meant, it consists ordinarily of the objective manifestation of the parties’ respective intent to be bound. The key thing to remember here is not whether it IS performed within a year, but whether it can be. It bears repeating in such a case as this that: The Statute of Frauds was not enacted to afford persons a means of evading just obligations; nor was it intended to supply a cloak of immunity to hedging litigants lacking integrity; nor was it adopted to enable defendants to interpose the Statute as a bar to a contract fairly, and admittedly, made. But here, seller in particular, beware. I started by teasing out some of the geographical implications on the choice of law that might apply to an art fair transaction. But, as I like to phrase the foundation of all legal questions: so what? Who cares where the fair is? With regard to the most important aspect of any sale, title to the object, you will care a great deal. Consider again a pair of scenarios, different only in geography. First, in New York at an art fair views a striking Max Beckmannn domestic scene on consignment from an identified and reputable seller. He views its condition, and notes its presence in the catalogue raisonné with approval. The provenance provided is orderly and has no gaps or suspicious activity. He buys the painting for $25 million, which is noted in the local and international press. Two weeks later, he receives a letter from a lawyer. The painting, the lawyer argues, was sold at the auction at Galerie Fischer in Lucerne in 1939 after being looted from a Jewish family in Frankfurt. The provenance he was given was fictional; the catalogue raisonne confused this work with another version. The lawyer’s client wants the painting back. Oh, and the reputable and known seller has gone bankrupt and fled to Zimbabwe with our buyer’s money. Now imagine the same scenario, but at Art Cologne. What happens, and why does it matter? Assuming that the buyer really did not know of the painting’s history, the location will not only be important, it will probably be dispositive. In New York and elsewhere in the United States, a thief cannot pass good title. So purely as a matter of title, the buyer will lose the painting. He may have some defenses like laches if the true owners knew of the painting’s intermediate location and failed to act, but that is necessarily an uphill battle, and his burden to prove AFTER a trial. In Cologne, or Maastricht? More than likely, as a good faith subsequent purchaser, he will keep it. Even within the western art market, an increasingly seamless one, different places make different judgments about who should bear the risk of loss in that situation. World War II looting isn’t all that matters by location. Assume fairs in the same two locations, New York and Cologne, but for a Giorgio di Chirico. The same facts apply, but assume that in 1955, the true owner had located the painting in a Geneva gallery, sued for its restitution—and lost to a “good faith purchaser.” Now, even in New York, the seller is not passing a thief’s title, he is passing adjudicated good title. So the buyer may get the painting after all. 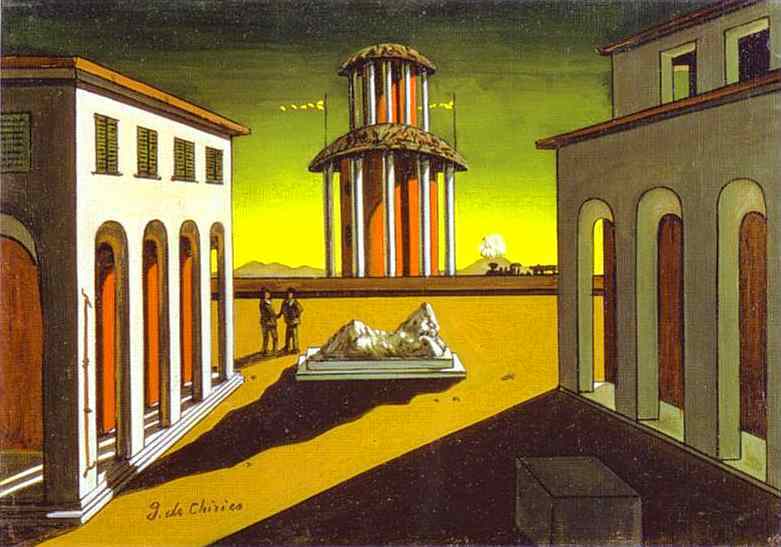 Lastly, assume the di Chirico hypothetical: but fair number two is in Rome, where just last week, a new government passed a law declaring all Italian metaphysical art to be the national patrimony of Italy. The buyer in New York may now be better off. Unless it was imported to the US AFTER the patrimony designation (in which case there could be customs problems, and a visit from the Asset Forfeiture Unit of their friendly local U.S. Attorney office), it’s here and it’s probably not going back. But within the EU? That jurisdiction that favored good faith title may be out of luck. So, to foster the discussion, remember: where you are will affect whether there is a relationship, and how it plays out in the short term, and if people ever disagree.